Arsenal F.C. is a professional English football club based in Holloway, North London. Arsenal Football Club was founded in 1886 in Woolwich, Southeast London, having moved to Highbury in the north of capital in 1913 and finally to Holloway in 2006. The club currently competes in English football's top tier, the Premier League, and is commonly known as Arsenal or Gunners. Arsenal F.C. is one of the most popular and successful clubs in England, having won 13 English champion titles and 11 FA Cups. Arsenal is the only English club to have gone a full Premier League season unbeaten (2003/04) which earned that team the popular nickname "The Invincibles". The club still holds the record for the longest unbeaten streak in the Premier League. The Gunners are the 5th most valuable football club in the world, with Forbes estimating their value at £1.3 billion and are the 8th richest club in the world, having generated £300.5 million in 2014. 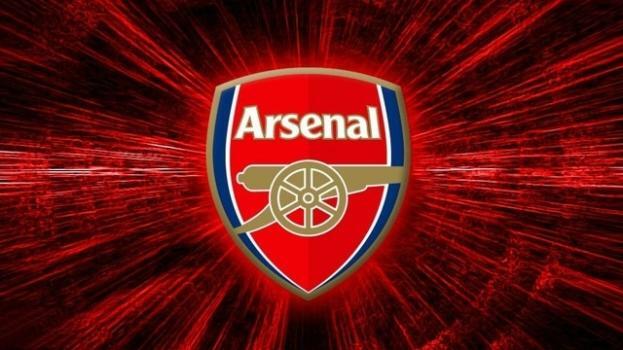 Their female football club, Arsenal Ladies, is the most successful women's football team in England, having won over 40 major trophies in total, including the UEFA Women's Champions League. The club's most successful era came in the late 90s and early 2000s with the appointment of French manager, Arsène Wenger, 1996. Arsenal would win two League and Cup doubles in 1998 and 2002 and the "Invincibles" season, in 2004, that would see the team win the Premier League and go 49 league matches unbeaten. In 2006, Arsenal would progress past the quarter-finals of the Champions League for the first time and become the first London club to reach the final but lost to Spanish side, Barcelona. Arsène Wenger has been at the helm of the club for 19 years, which makes him the longest serving manager at the club. Arsenal's match against Sheffield United in 1927 was the first ever English League match broadcasted live on the radio and ten years later Arsenal's match against their reserve team would be the first ever football match to be televised live, in the world. Their match against Manchester United in 2010 was also the first ever sports event broadcasted on a 3D television. The club has famous rivalries with Man United and Chelsea but the fiercest is with neighbors Tottenham, with the games between both being known as the North London Derby. Unfortunately Wenger's 22-year reign as Arsenal manager comes to an end, so who's the next candidates for the managerial position at Arsenal. After watching Leon Bailey perform twice last week, Arsenal hold the upper hand over English rivals in the hunt for the 21-year-old's signature. A strong academy breeds the future, although the Frenchman's ruthless in his three-step recruitment process if a player's to make the grade. With Mesut Ozil yet to sign or reject a contract extension at Arsenal, the Frenchman believes that a 'discreet' approach to negotiations is necessary. With Lichtsteiner being released in the summer, Juventus need a new defender and this Arsenal star could be their man.